Our white label offering has helped create several leading products attracting customers from the healthcare, education and travel sectors. We have identified several dynamic applications of our technology and have created specifically branded bundles of functions to appeal to the targeted audiences. These products have already created significant interest from potential partners – many of whom have helped develop and shape the structure of our individually branded flagship products. Our platform has been developed to enable partners to apply the varied functions in many ways and, as such, partners can use our products as they are, rebrand them or use them as a template to fit their particular sector. Jobtrac+ is our smartphone application that is designed to help employers meet their duty of care obligation and to increase employee efficiency. Our customers range from government organisations to local businesses. 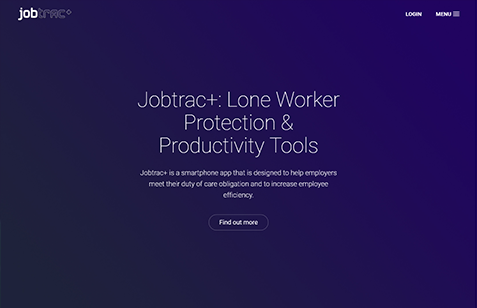 Jobtrac+ uses several features of the core Ubitrac platform to create a compliant lone-worker solution. It is coupled with a web application to also provide employers with an array of tools to streamline working practices. 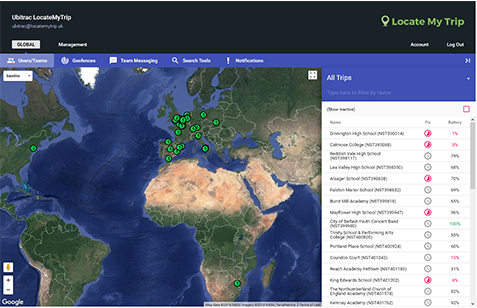 Locate My Trip is a solution provided for the NST Group to track trips for universities and colleges across the world. We have helped track over 2000 trips by using our location tracking feature to provide reassurance to both tutors and parents. The product also provides the trips with relevant travel and safety notifications which may affect the tour plans. We are keen to hear from you if you believe you can benefit from our location-based technology solutions. Ubitrac specialise in location-based services, developing mobile, web and desktop applications for business, consumer and education sectors.